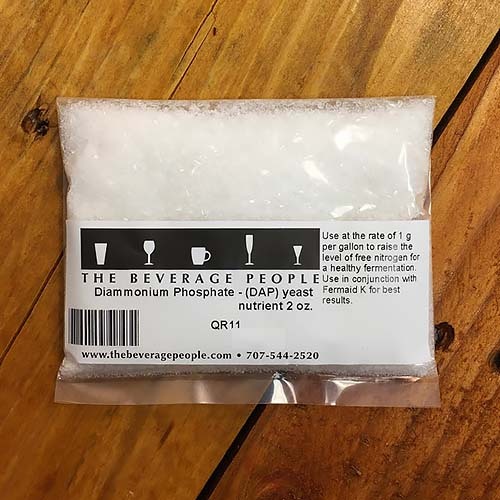 Diammonium Phosphate - (DAP) yeast nutrient 2 oz. Use at the rate of 1 g per gallon to raise the level of free nitrogen for a healthy fermentation. Use in conjunction with Fermaid K for best results.